Situated in Elda, this apartment building is within a 15-minute walk of Footwear Museum, Santa Ana Church, and Castle of Elda. Barranc dels Colegials and Heretat de Cesilia are also within 6 mi (10 km). Elda-Petrer Station is 28 minutes by foot. Located in the heart of Elda, this hostal is within a 10-minute walk of Santa Ana Church and Castle of Elda. Footwear Museum is 0.5 mi (0.9 km) away. Elda-Petrer Station is 21 minutes by foot. Situated in Elda, this apartment building is within a 5-minute walk of Santa Ana Church and Castle of Elda. Footwear Museum is 0.5 mi (0.8 km) away. Elda-Petrer Station is 19 minutes by foot. How Much is a Hotel Room in Elda? Hotels in Elda start at $49 per night. Prices and availability subject to change. Additional terms may apply. Wandering through Alicante? To experience it like the locals do, research places to stay which are near the action in Elda. 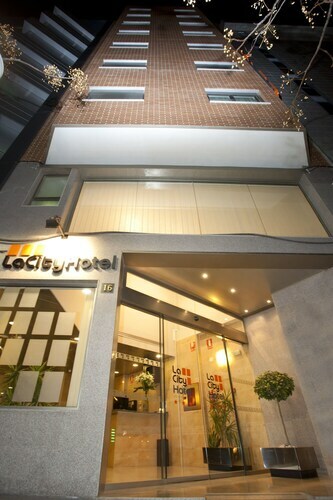 Elda lists 2 hotels within easy driving distance of the center of town. Accommodation options located within a short distance of the Elda city center, are the AC Hotel Elda by Marriott and Hotel Santa Ana. It's worth checking out the Hotel del Juguete along with the Hotel Spa La Romana. The Hotel del Juguete is positioned 17 miles (27 kilometers) from the middle of Elda. The Hotel Spa La Romana, can be found 9 miles (14 kilometers) away. Alternate hotels are the Villa de Biar and the Huerto Del Cura. Making plans to head a bit further afield? Valencia boasts many beautiful things worth checking out. Valencia is well known for beaches, coastal plains and rivers, and other commonly visited tourist sights are castles and old towns. Outdoor-loving travelers may also love mountain biking and hiking here. Guardamar del Segura is 30 miles (46 kilometers) to the south of Elda and is home to Guardamar Castle and Moncayo Beach. 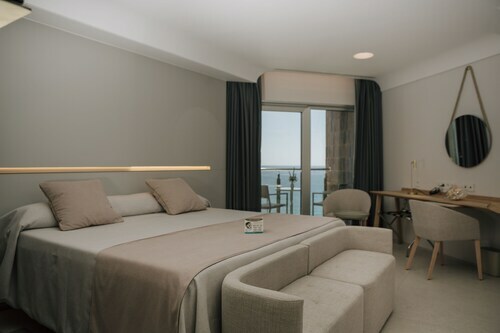 The Marjal Guardamar Camping & Bungalows Resort and Hotel Meridional are just some examples of the Travelocity long and short-stay alternatives in Guardamar del Segura. Or, you could stay in El Castell de Guadalest, 40 miles (61 kilometers) east of Elda, where you'll find the Cases Noves - Adults Only and Apartamentos Serrella. If you visit El Castell de Guadalest, make your way to the San Jose Castle and Historical Automobile Museum Vall de Guadalest. Prior to departing Alicante, you should make sure you are able to see some local sport. Visit Estadio Manuel Martinez Valero, found to the southeast of Elda. 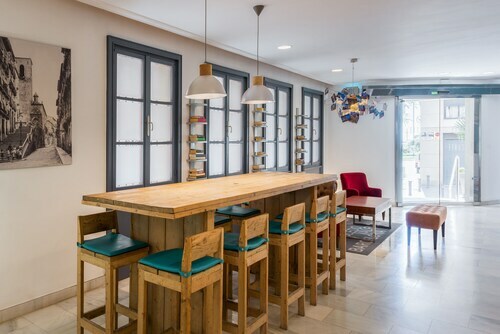 Modern travelers that enjoy the convenience of booking accommodation in the neighborhood, make a reservation in the Holiday Inn Elche or ibis Alicante Elche. 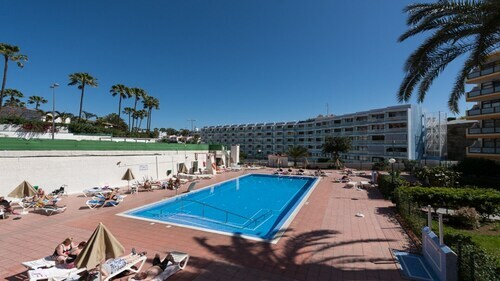 When you are flying into or out of Alicante International Airport and are looking to find Travelocity-listed accommodation in the area, consider El Plantio Golf Resort or Hotel Areca. Really super easy to walk and find things. An older persons fitness area delight. I stayed here with my daughter after travelling from Alicate to Calpe and back. I lucked out in booking a place close to the airport which made return very easy. My experience on the first end of my alicante stay from the Airport was much different. 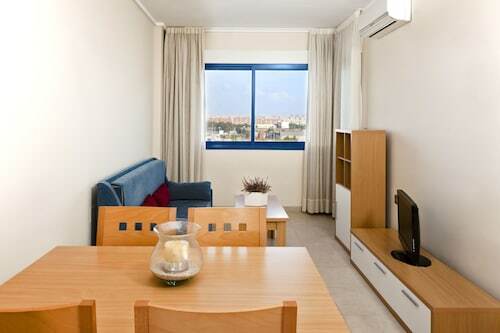 Hotel is really apartments that appears to be rented out more than short term travelers. That being said the check-in and check-out and staff were so courteous and helpful. Arranging transport by taxi when needed. 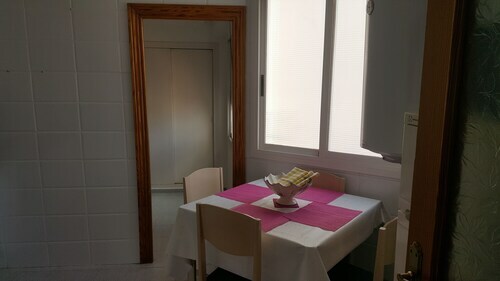 Alsoi close to bus station that easily takes you to the Viejo parts of Alicante cost effective safe and easy to follow. The room was equipped with Queen bed and pullout coach. This furniture was comfy and well-maintained. A Small porch also had racks for drying clothes (a real perk) as the swimming pool and Jacuzzi were lovely and a tempting dip often needed drying of swimwear.The small and limited Cafe was adequate. The food was excellent however, very limited options for breakfast. Their was an outdoor section to sit however smoking allowed and at night time mosquitoes ( in Europe I was surprised at how many folks smoke) The only aspect of the stay which I was disappointing was the refrigerator had some mold at bottom shelves and smell pervaded a bit. However, I did leave leftovers in fridge and worked well. Other folks were grocery shopping and bringing food in so, I imagine the fridges were in good condition. The hallway lighting was a bit hard to find and the hallway smelled of cigarette smoke. Nice hotel, great location, and great breakfast from warm to cold selections and natural juices. 3.0 Nothing horrible or special. You truly get what you pay for. It was annoying that it stated free wifi, however the wifi did not work in my room. Wifi can be essential when traveling to another country and the fact that it did not work made me want to reconsider my choice. Overall it's a hotel where you just go to get some sleep and a quick shower. 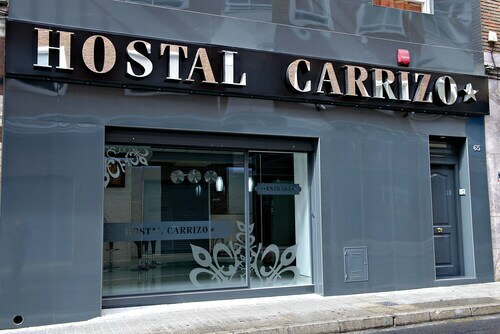 If i go again to alicante i would syltay again there...very nice staff.clean and fast everything...the parking is paid appart but not a big deal....other places are worse.